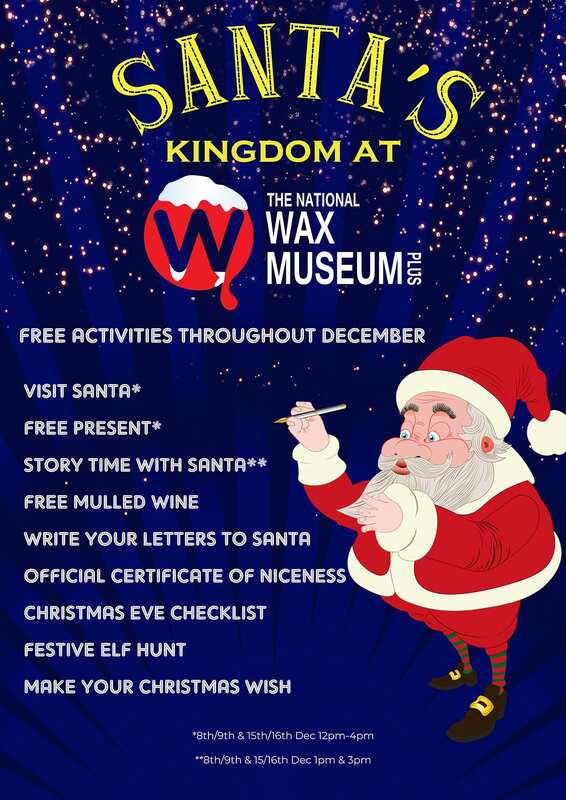 With Christmas fast approaching the National Wax Museum Plus has transformed into a Winter Wonderland with festive fun for all the family. Santa has his elves hard at work crafting his wonderful Santa’s Kingdom for all the boys and girls old and young. Visit the real Santa Santa will be visiting the Museum and officially checking his nice list and giving out free gifts on December 8th, 9th & 15th,16th from 12pm to 4pm. The Festive Elven Hunt! Santa’s Elves have been working overtime so much so that they have moved into the Museum to be close to Santa Claus. Spot the elven doors dotted around the Museum and tell us how many there are and be rewarded with a treat. Sort Yourself Out For Christmas! For all Harry Potter Fans big and small we’ve a Harry Potter sorting hat where you can find out what Hogwarts House you should be assigned to. Letters to Santa Claus We have a direct line to Santa Claus, sure he sleeps here 11 months of the year, so if a child posts a letter in the post box we’ll make sure he sees it. Letters available in the Museum. Santa’s Official Niceness Certificate: Every child (and some adults who beg) will receive an official nice list certificate. Black Christmas: There’s even a black Christmas in the Chamber of Horrors for those brave enough enter.